NYC, 02/20/2019, 7:00PM. Creative Writing Lecture. 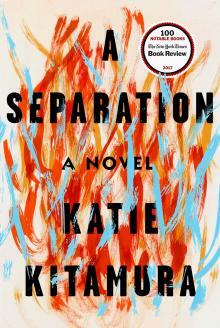 Katie Kitamura's third novel, A Separation, was a New York Times Notable Book and a finalist for the Premio von Rezzori. It was named a Best Book of the Year by over a dozen publications, has been optioned for film, and will be translated into sixteen languages. Her two previous novels, Gone to the Forest and The Longshot, were both finalists for the New York Public Library’s Young Lions Fiction Award. A recipient of fellowships from the Lannan Foundation and Santa Maddalena, Katie has written for publications including The New York Times Book Review, The Guardian, Granta, BOMB, Triple Canopy, and frieze.